The 11th edition of ARCHITECT@WORK Paris at the Paris Event Center, an event devoted to architecture, which this year had “Architecture & Evolution” as main theme, ended a few days ago. Caruso Acoustic participation at ARCHITECT@WORK was a great opportunity for the company to show its sound-absorbing panels to an international audience of architects and professionals. These acoustic solutions are specially designed to absorb sound, as well as to meet effectively aesthetic and functional project requirements. 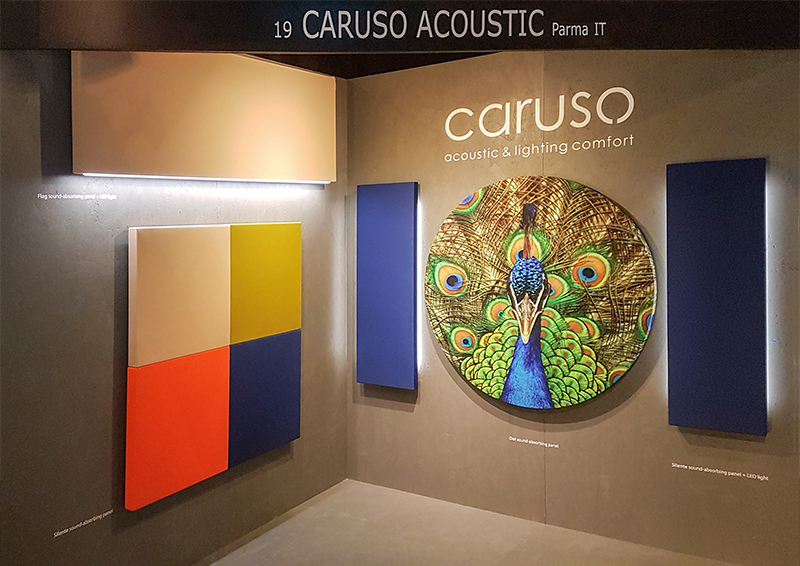 The strength of Caruso Acoustic brand remains the high level of product customisation, from custom prints to the integration of efficient LED lighting systems. A participation which confirms the importance of the French market and the purpose of standing out on the international scene, by designing and developing innovative solutions for room acoustics.